Who are the YDC and the Benefits of Being Involved? Want a future that’s as bright as a dental light? Whether you’re a dental candidate student or are doing your Community Service (CommServe) or a dentist in public service or private practice under the age of 35, you are eligible to join the Young Dentist’s Council (YDC) - a platform designed to develop and nurture future leaders in the dental profession. 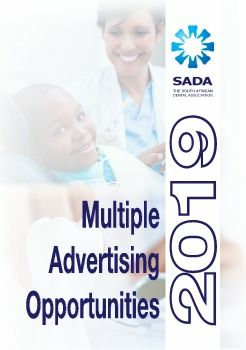 An organisation working under the mandate of the South African Dental Association (SADA), the YDC was launched in 2013 with the aim of connecting younger members and providing them with an enabling environment where they can debate and deliberate on matters affecting their careers and the dental profession. Today, the YDC is an enthusiastic, committed and concerned group of young dentists working together to nurture a brighter, more sustainable future. Bridges the divide between the thinking, understanding and needs of the next generation of dentists and those of our forbearers. If you are in your first to fifth year of study, your SADA membership is free. In the first three years after you graduate, not only is your membership greatly discounted, but you get Dental Protection Membership at a preferential rate - giving you access to experienced, professional colleagues to help and advise you on any dento-legal problem you might face. Visit the SADA website, click on the Membership tab, go to the Join SADA page, enter the information requested and press submit. Applicants under the age of 35 will automatically become YDC members when becoming SADA members. For more information and to sign up, go to https://www.sada.co.za/join-sada/.